Epson Robots has expanded its SCARA robot lineup with the introduction of four new robots – the LS3-B, LS6-B, LS10-B and LS20-B. 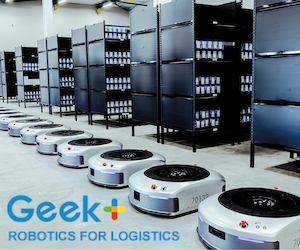 The new robots will be available in the summer and fall of 2019 with the LS10-B shipping in June. The LS10-B SCARA robot will be showcased at the ongoing Automate Show, at Epson Robots booth #7566.
Notable new and improved features include faster cycle times, a lower cable duct profile, ideal for hard to reach work cell layouts, built-in camera cable for easy vision system setup, new top-of-arm layout for enhanced usability, and a batteryless encoder to minimize downtime and reduce overall cost of ownership. Aside from upgrades to the entire series, Epson has also expanded the lineup with the addition of the LS10-B robot for heavy payload applications. The LS-Series robots are ideally suited for automotive, medical, lab automation, electronical components, consumer electronics, industrial markets. Gregg Brunnick, director of product management for Epson Robots, says: “For the last several years, our LS-Series Robots have been the robot of choice for high performance, low-cost automation. The LS10-B and LS6-B SCARA Robots are the new and improved LS models with numerous feature updates. Both are perfect for factories in need of reliable performance at a budget-friendly price. They are available in ISO 4 Clean versions for critical, dust-free applications and offer integrated options including vision, fieldbus interface solutions, RC+ 7.0 API software, teach pendants and customizable GUIs. 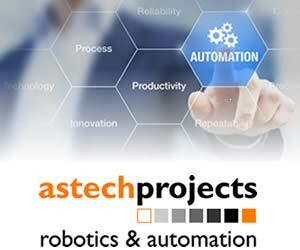 Epson RC+ development software makes it easy for manufacturers to customize their automation needs with these robots. The LS Series features high acceleration/deceleration rates and high-speed cycle times. Proprietary Epson gyro sensors allow for low residual vibration. Both contain a powerful arm design providing versatility for multiple applications. The LS10-B can reach up to 600, 700 and 800 mm, and support up to a 10 kg payload. The LS6-B has 500, 600 and 700mm available and can support up to a 6kg payload. More information on the new LS3-B and LS20-B is yet to be released.